SNOWMASS VILLAGE – The developer of Base Village may find it easier to rebuild confidence in the marketplace than it is to regain the trust of a community. Last week, Sunrise Co. and Oaktree Capital Management signed a letter of intent with Related Cos. to develop 44 residential units in a trio of stalled Base Village buildings. This comes on the heels of Aspen Skiing Co.’s Aug. 18 announcement that it too would jump back into a Snowmass’ base area project and develop a 102-room Limelight hotel representing a $100 million investment. While the marketplace appears to be responding to Related’s project restart, members of the general public are more wary of trusting the developer. During a “community outreach” session Thursday, several of those in the room without direct ties to the developer asked hard questions of Related Colorado president Dwayne Romero. One of those was about phasing. As currently envisioned, the Viceroy’s second building and the Limelight Snowmass, which already has completed some of its planning, would be the first buildings to rise in the restarted base area. “Wouldn’t it be feasible to vest this so the ugly parts get fixed first?” asked Snowmass Village resident John Hornblower, who works in the financial services industry. The second phase of the Viceroy and the Limelight could be completed by 2016, a year before the unfinished buildings to which Hornblower referred may even start. Next up was a question from Mike Sura, a former owner of a Snowmass Village pizzeria. He queried Romero on what the project offers to the community. While Romero mentioned road improvements, including a roundabout, a year-round medical clinic and possibly an aqua center, Sura didn’t seem to think that was enough. “These are some of the questions that are maybe why we want to see the vesting slowed down. There are so many unanswered questions,” Sura said. Related Colorado has requested a four-year extension of its vesting, which is set to expire Nov. 3, as long as it meets specific project milestones. But he added that safeguards the company is putting in place during its forthcoming major PUD amendment — expected to be submitted by Oct. 15 — should offer some level of comfort to the public. “That gets expressed by providing securities to the town to be sure we do comply with the milestones and progress we are asking for,” Romero said. For a question about whether the developers were trying to reduce the project’s parking requirement, Romero punted the ball to SkiCo’s Don Schuster. “We requested the parking for the Limelight be one parking space for every two rooms,” Schuster said, basing his response on winter holiday season studies that were conducted with the Limelight hotel in Aspen. Following the meeting, two attendees discussed whether that was feasible during the summer, a time when guests are more apt to drive than fly to Aspen/Snowmass. The additional bed base that would result from the SkiCo and Sunrise projects will help support the existing retail stores in Base Village, Romero told the group of about 35 attendees. No one from Sunrise or Oaktree Capital spoke publicly on Thursday. The Limelight in Aspen finds itself in the position of “actually turning down some business during peak periods of time,” Schuster said. 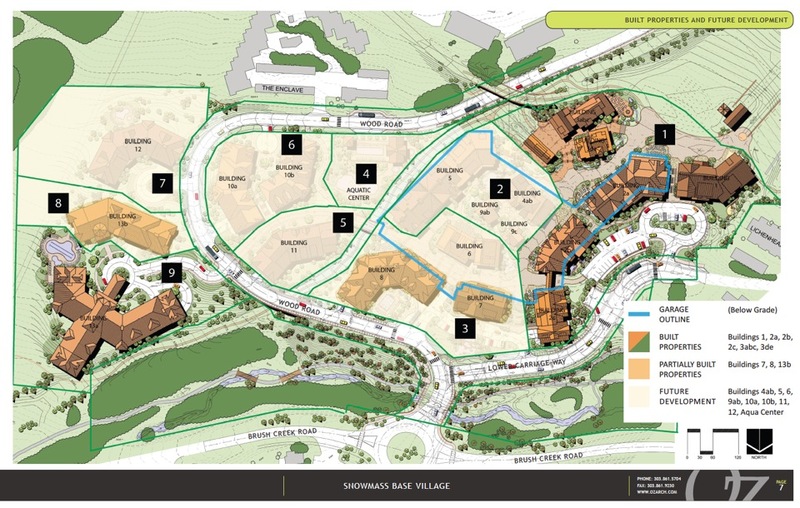 Moreover, the fractional and whole ownership units proposed for the fake-front buildings will likely bring more vitality to Base Village than the four and five-bedroom units that were planned for the Little Nell -Snowmass. “These are hotter beds than what we proposed to originally be in Base Village,” Schuster said. Romero chimed in that occupancy rates could rise overall by 10 percent based upon observations of business at the Viceroy as well as conversations with Bob Purvis, a member of the town’s marketing and special events board. One resident asked if hotter beds and increased occupancy would hurt his skiing experience. SkiCo vice-president of operations Rich Burkley said there’s already excess uphill capacity in Snowmass. In terms of the on-hill experience, SkiCo would like to replace the High Alpine chairlift with a faster, higher capacity chair, but must first receive approval from the Forest Service. In concert with the chair upgrade would be a renovation of the High Alpine restaurant. SkiCo also plans on bringing back or “reinventing,” as Schuster said, a hill for inner tubing. “It will be much improved over Tube Town,” he said of the former amenity once located on Assay HIll. Snowmass Village town council will again discuss the developer’s request to extend the project vesting during its Sept. 8 meeting. Editor’s Note: Aspen Journalism and the Aspen Daily News are collaborating on coverage of Snowmass Village and other local governments. The Daily News published this story on Friday, Sept. 5, 2014. Follow journalist Madeleine Osberger on Twitter, @Madski99.